"If I had to describe further what the CADAC console is about for me, I would say it offers the perfect balance between an open / detailed sound and the analogue warmth and fullness of classic consoles from the 80’s. . Studio Sequenza own 2 consoles, a Neve 8232 and a Cadac A Series. QUOTE #2 by Mateo, Dubrovnik, Croatia. "10 years ago I worked on the big Cadac console and was amazed with headroom and colour"
CADAC 8 into 4 Quality Mixer Expandable to 14 input by the addition of the 6 channel sidecar. 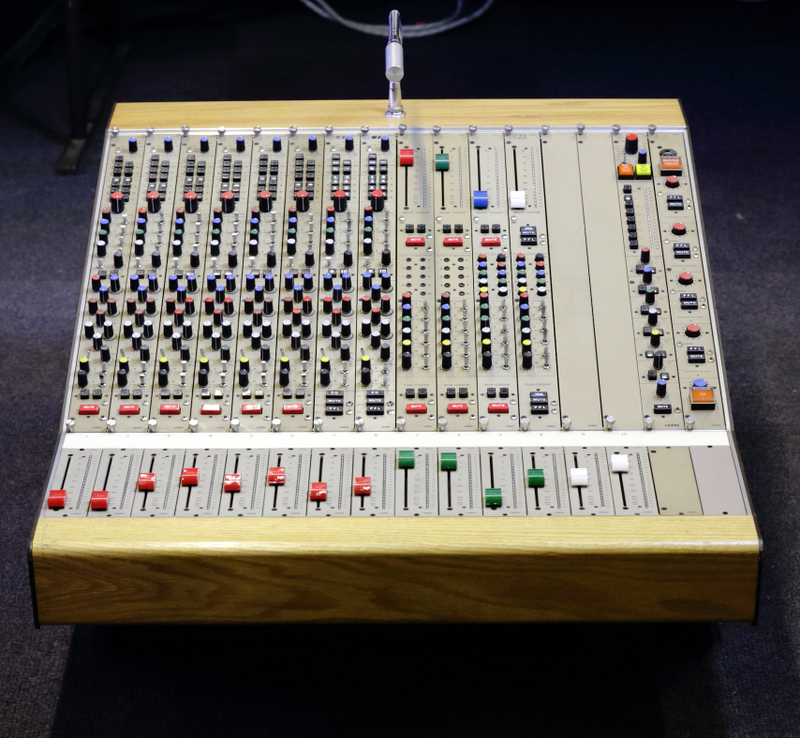 This fabulous little mixer was manufactured as an exhibition piece in the 1980's and has never been used in a studio. It has recently been fully serviced and recapped where necessary by a couple of ex Cadac engineers. Channel Direct outputs are via high grade Lundahl Transformers while group outputs are via Marinair Transformers. We also have available a 6 channel sidecar which can be used with the 8x4 giving it a total of 14 fully functional inputs, A Series mixers can be chained together to make larger complete mixers, all the functions on the sidecar such as routing and solo modes operate exactly the same on the sidecar as they do on the main mixer, e.g a solo on the sidecare will mute all channels on both buckets.